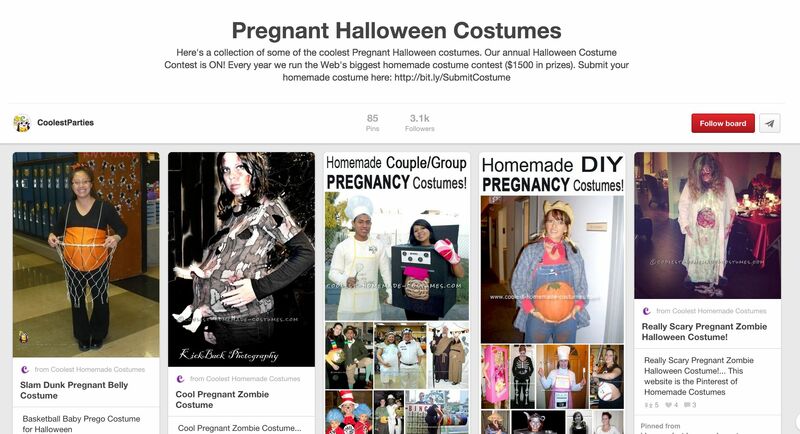 If you find yourself pregnant this Halloween, you will need a costume that optimizes that bump! 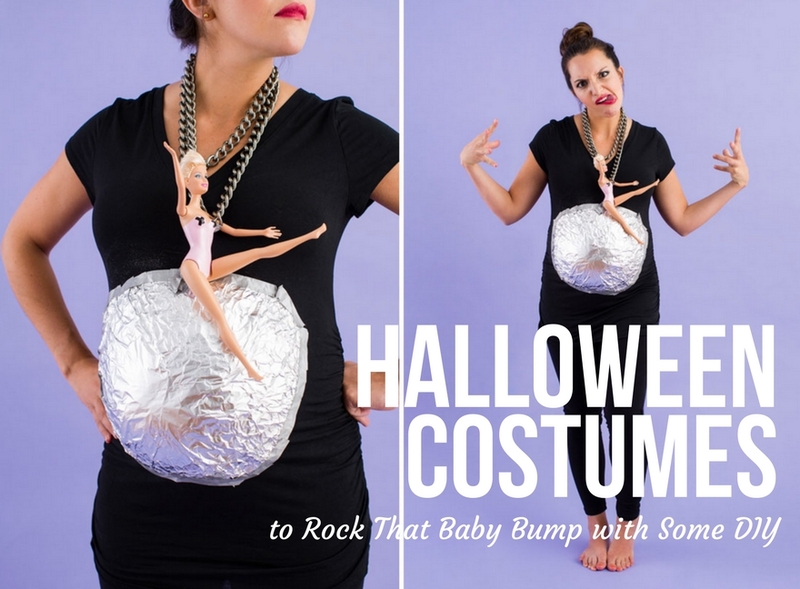 If you’re thinking of skipping out on getting dressed up this Halloween simply because you’re pregnant, you may want to think twice. A baby bump can actually be a whole lot of fun this time of year. Cooking up something in your belly? 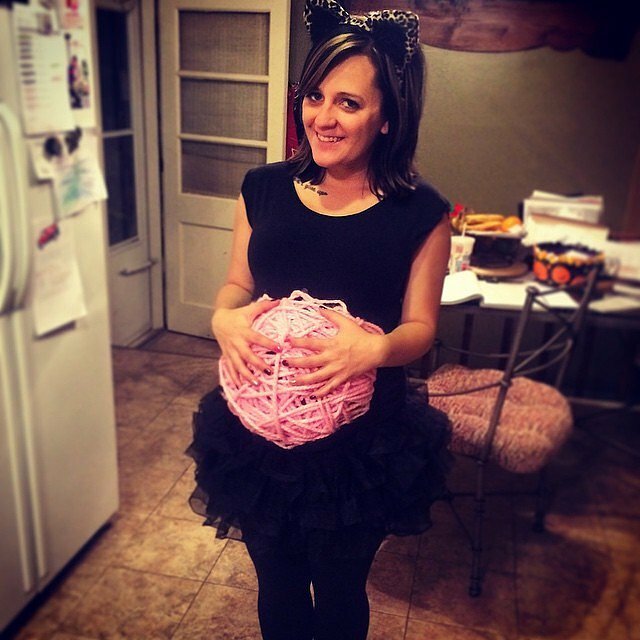 MeaningfulMomma has your costume! 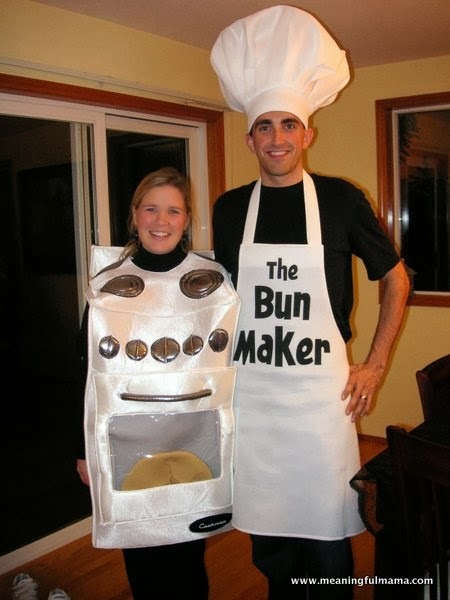 And…I have a bun in the oven. Need a last minute idea? 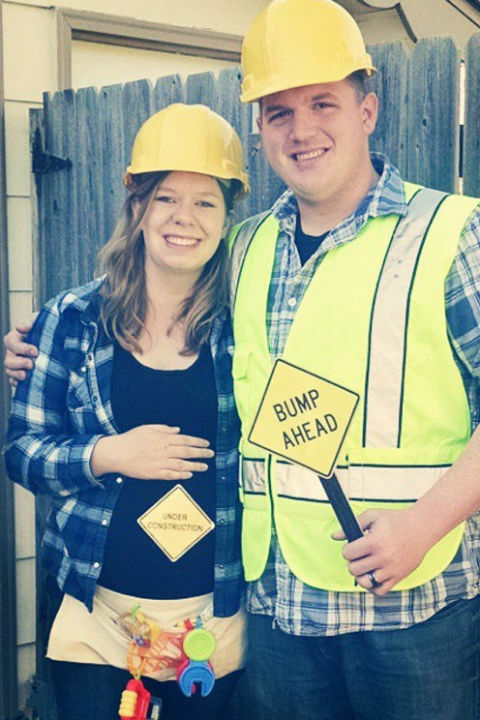 This Construction Bump is an adorable DIY! Or grab a fabulous, bright colored wig and go the Treasure Troll route. Both ideas are via Coolest Homemade Costumes. This fabulous post has the “How-To” and materials listed for each costume, so be sure to check it the full post! 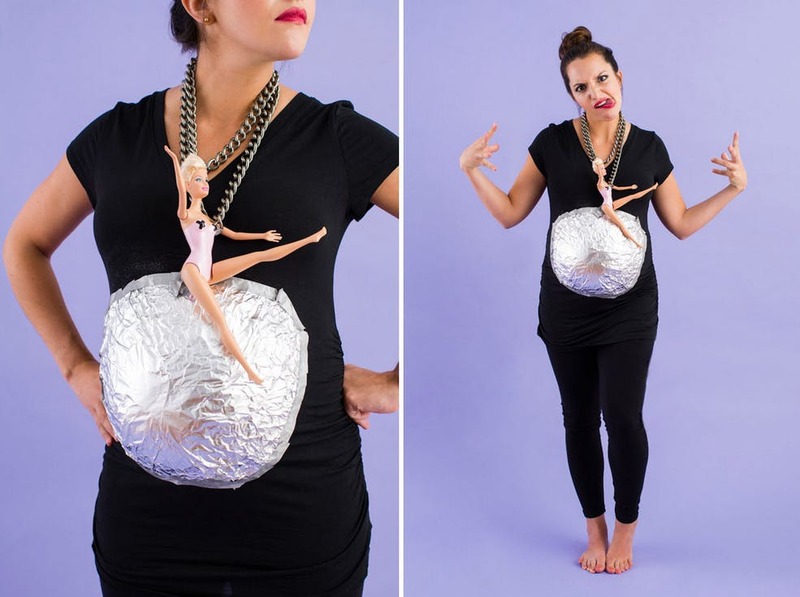 How hysterical is this “Wrecking Ball” creation?! It’s time to play dress up with your bump! 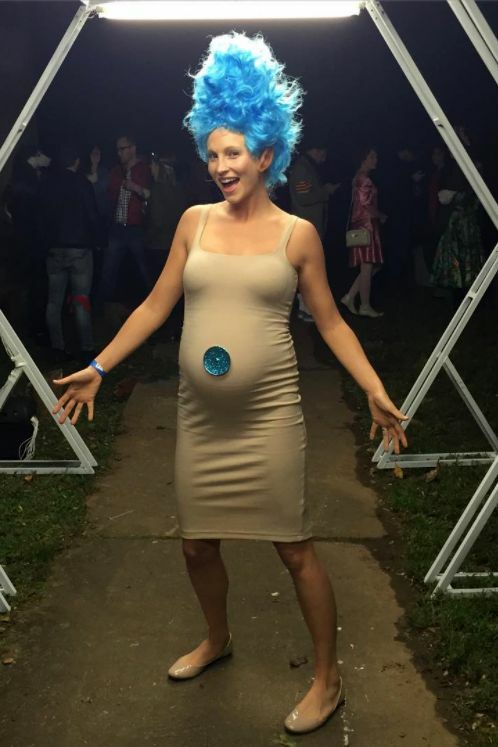 Halloween may normally be all about the cute kiddo costumes, but pregnant ladies have an awfully fun — and relatively rare — opportunity to dress up their bump. Or you could “Utilize the Belly” in a different way and have yourself painted! Pumpkins, balls, watermelon, Humpty Dumpty- Get Clever!